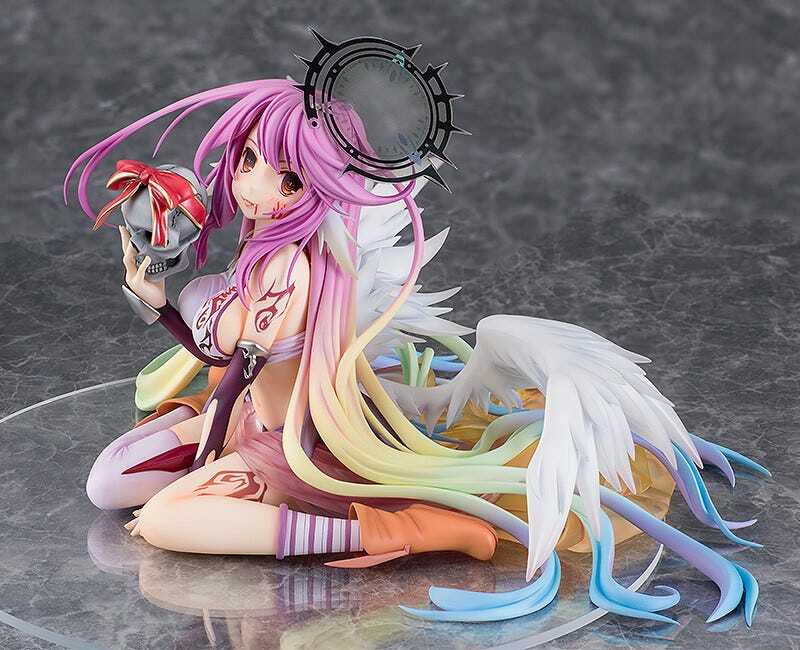 From the anime movie “No Game No Life Zero” comes an alternate version of the 1/7th scale figure of the youngest of the Flügel, Jibril! 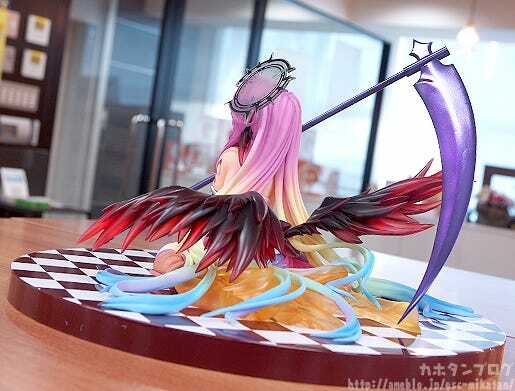 This “Grand War Ver.” features all new parts including a new facial expression and a scythe which bring out the more ruthless side of Jibril from the past. 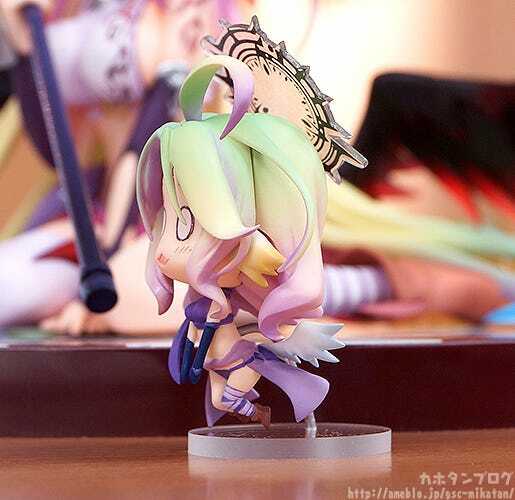 A miniature figure of Jibril’s self-proclaimed older sister Azriel is also included to display together with her! 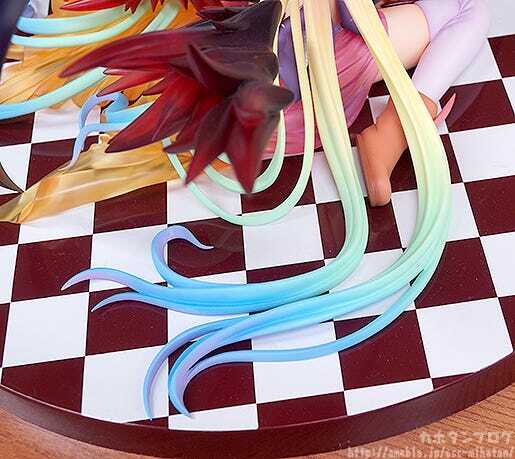 The various parts of the figure can also be exchanged with the previously released /7th scale figure of Jibril, allowing for even more possible display options! 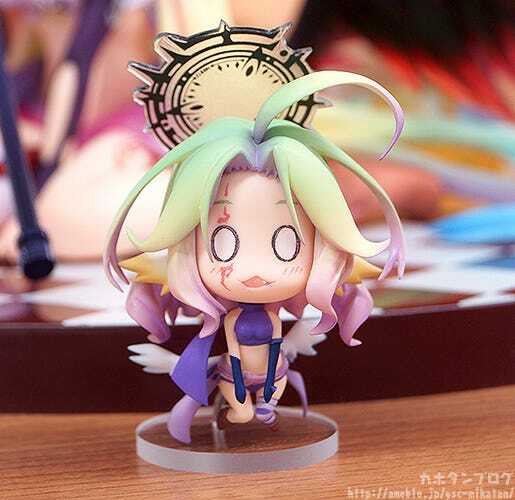 An alternate scale figure of the most powerful of the Flügel, Jibril! The large scythe and dark wings are both new additions to this version and both feature semi-translucent edges that let the light through for a stunning appearance! 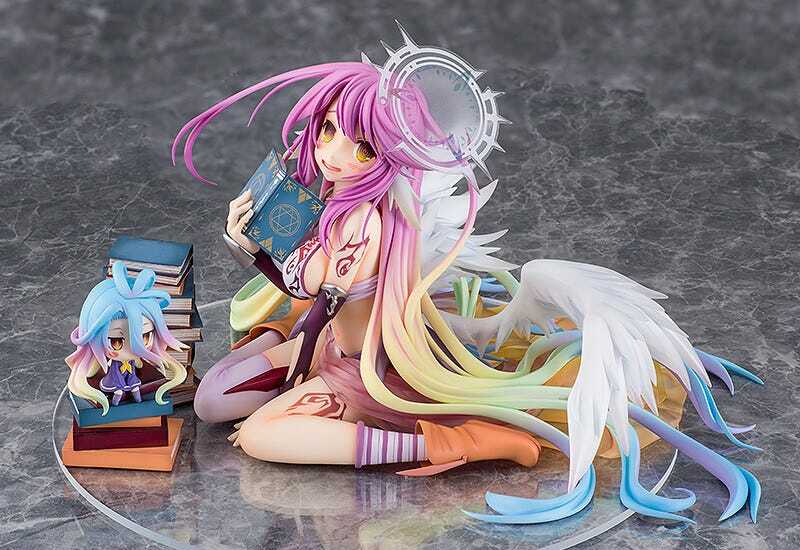 While it is a rather simple pose, the details and colors really bring the figure to life! 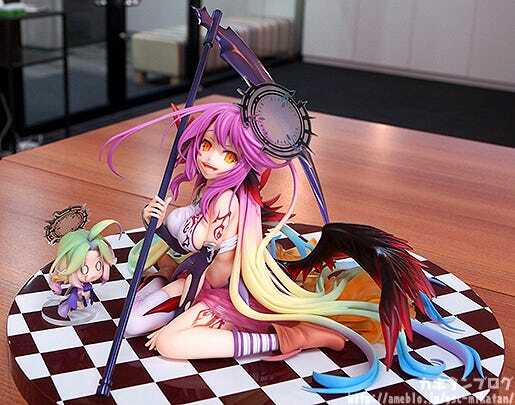 Just look at the lovely gradient hair as it sprawls out on the floor around her! ▲ Note the cute little belly button! 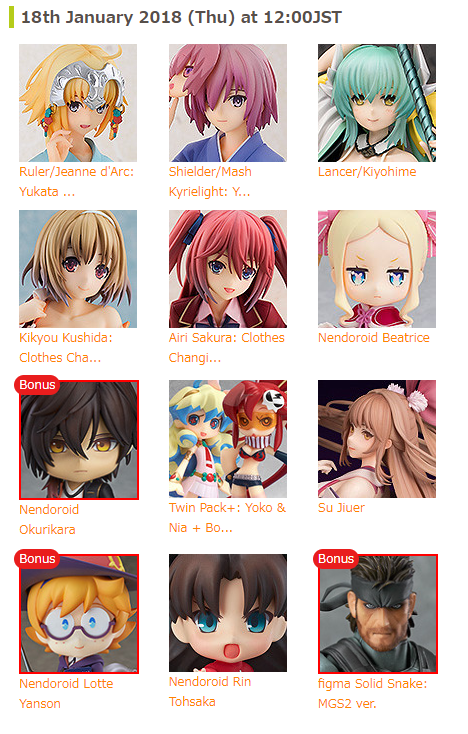 Be sure to take a closer look at all the details once she joins your collection! 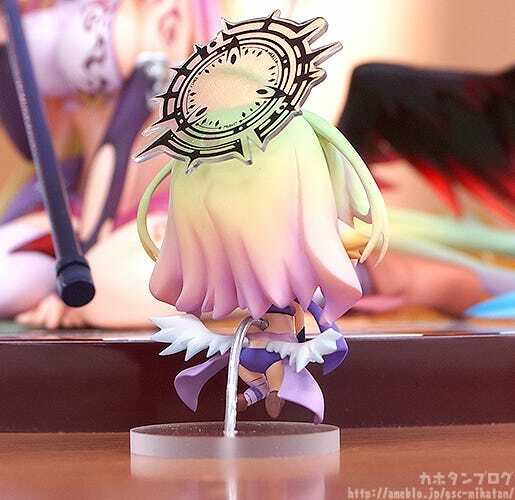 ▲▼ You can even see the details on her tiny hands and feet! ▲ The stand used here is provisional! ▲ Displayed gazing into each others eyes?! 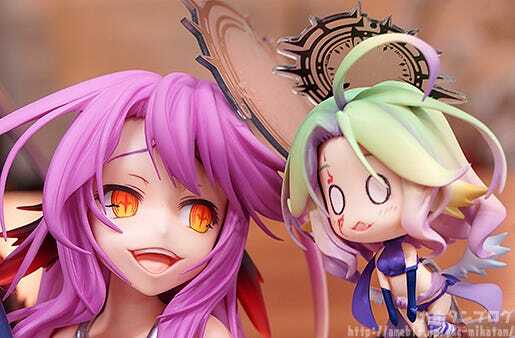 In addition, the expression parts can be swapped out with the previously released version of Jibril for even more options! 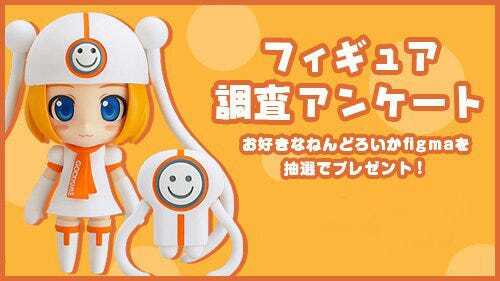 She’ll be up for preorder from the 18th January!